Tour Buses are Always Welcome! 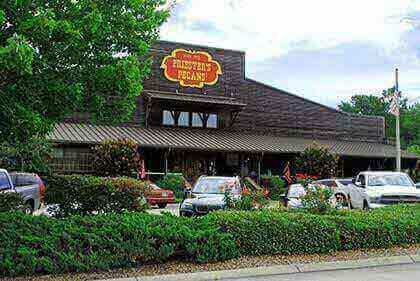 Please call ahead if you would like to make reservations for groups of 12 or more to eat lunch with us. The food area is filled with many unusual items including pickles, syrups, gourmet coffee, salad dressings, jams and jellies. Sixteen flavors of ice cream including Pralines and Cream, Homemade Vanilla and of course Butter Pecan, will also tempt visitors to this area. Enjoy making a sandwich or salad at the cold bar, or have a truly southern meal including meats and vegetables at the hot bar. ..The hot lunch is served from 11:00 until 2:00. ..The cold bar is served from 11:00 until 3:00. 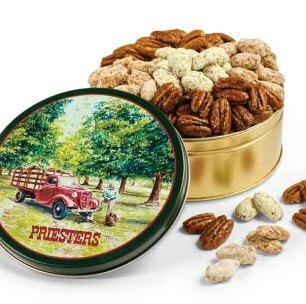 The highlight of your stop at Priester's will be a visit to the sampling table. 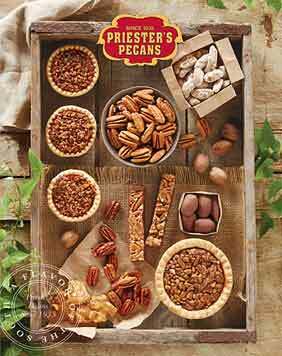 Taste many of Priester's most popular pecan candy and baked items. This provides an excellent way to pick your favorite candies before making your final purchases. 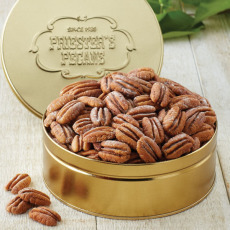 Travel upstairs by stairway or elevator to view the making of our handmade candies. 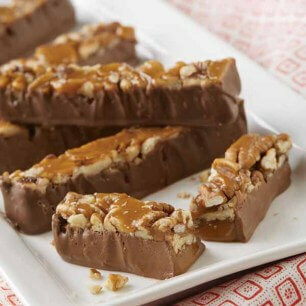 You may see chocolates being enrobed, divinity and fudge being dipped, pecan logs being rolled in caramel and pecans, or cakes, pies and brownies being baked. The gift shop is filled with many unique and wonderful gifts. There is something for everyone. Gardening items, toys, flags, greeting cards, baby gifts, tee shirts and a large array of seasonal gift ideas are always available.